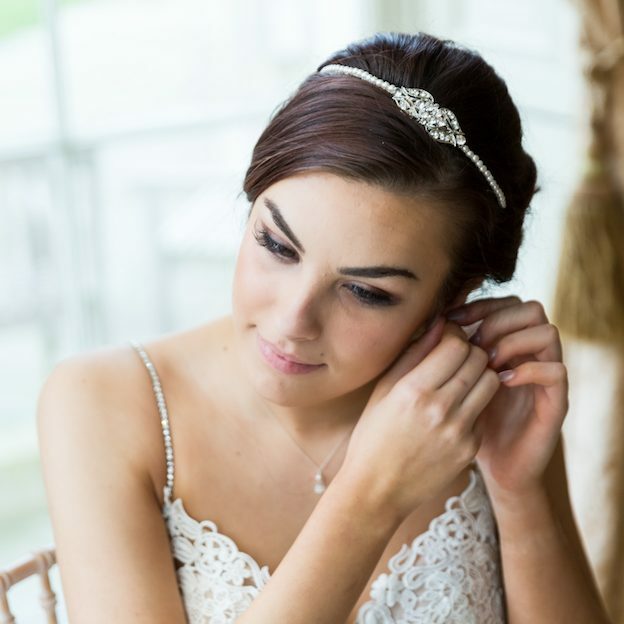 If you are looking for a modern wedding tiara with sophisticated sparkle and chic pearl embellishments, the Stella Pearl and Diamante Bridal Tiara could be it. 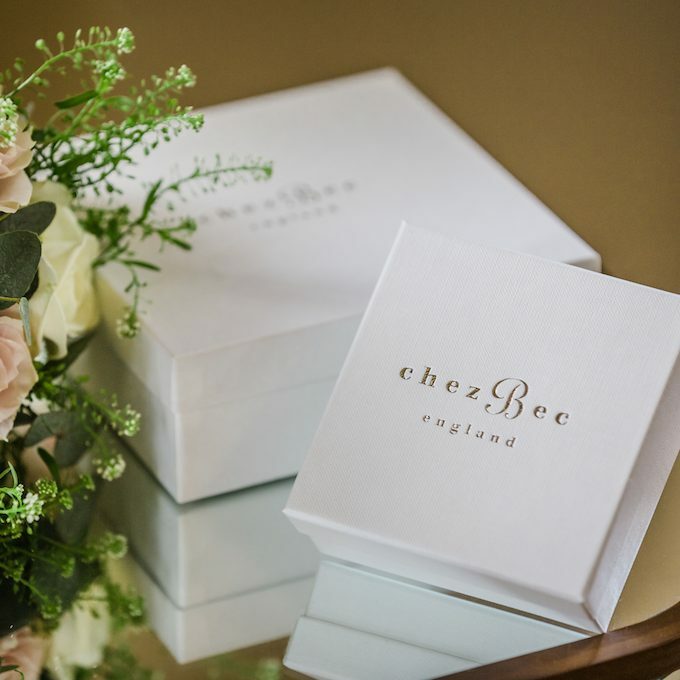 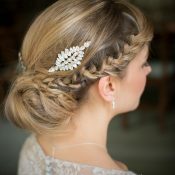 Styled to complement all bridal hairstyles, from chic side ponytails and modern waterfall braids, to classic twisted buns and shorter crops and bobs, it is a versatile piece of bridal jewellery that will leave you feeling radiant. 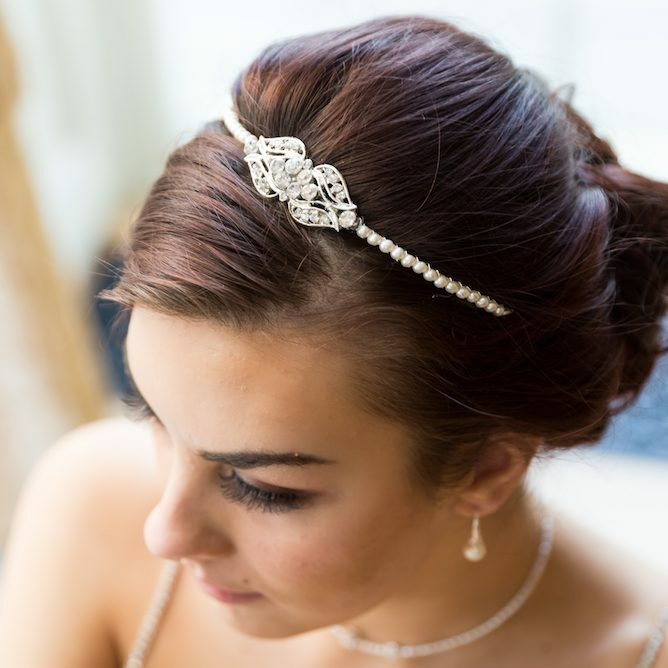 Handmade to order at our jewellery design studio in the UK, the Stella Wedding Tiara features a classic metal headband embellished with shimmering freshwater pearls. 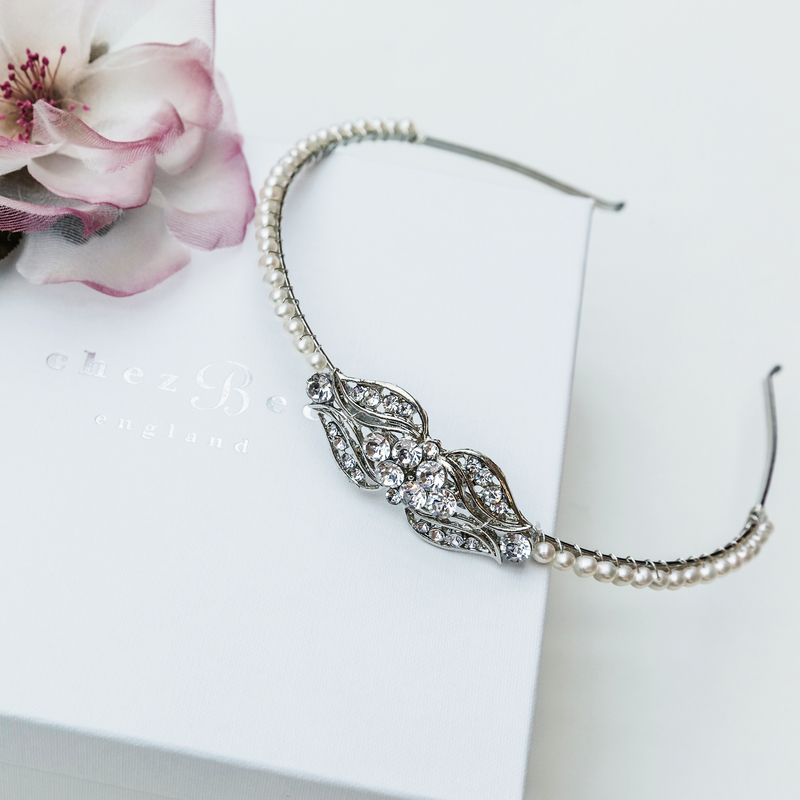 Taking centre stage, the ornate diamante encrusted showpiece has a slight vintage feel, which allows it to be worn with all bridal ensembles and every wedding gown. 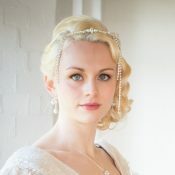 Be the first to review “Stella pearl and diamante bridal tiara” Click here to cancel reply.